One look around and it’s immediately evident why so many have left their hearts in San Francisco. While the little cable cars really do seem to climb half way to the stars as the song suggests, the route they take sends them past rows of charming old Victorian homes situated in diverse hilly neighborhoods filled with the scent of old country recipes and the history of pioneering free spirits. The cultural, the traditional, and the quirky live side-by-side here and San Franciscans wouldn’t have it any other way. 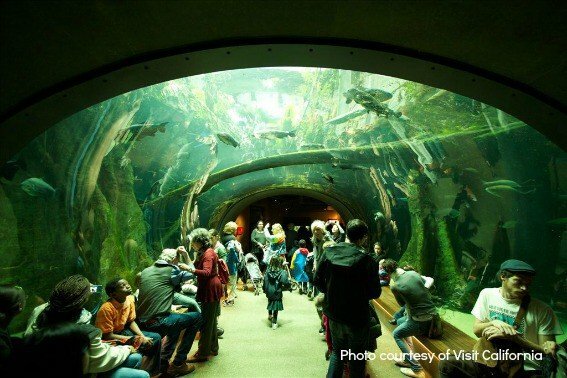 Here are our recommendations on what families will enjoy during a stay in the City by the Bay. While the lonely call of the fog horn is a common sound underneath the Golden Gate Bridge, the view of the iconic landmark can be ever-changing. Clear and sunny days can suddenly be interrupted by San Francisco’s famous fog which creeps in and swallows the bridge in a cloudy mass. 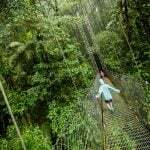 A walk across the structure is an easy activity for all abilities and hiking levels. Viewing platforms across the span not only provide a perspective of San Francisco that visitors won’t get anywhere else, they also reveal a dazzling view of Fort Point, a Civil War era fortification nestled in one of the arches of the bridge platform. Begin your Golden Gate Bridge experience at the Bridge Plaza by taking a guided tour from the Round House or grabbing an opportunity to photographically freak out your friends and relatives with portraits of your crew in the bridge’s off limits areas. Through green screen technology, your group could be snapped atop the South Tower or climbing the main cables. 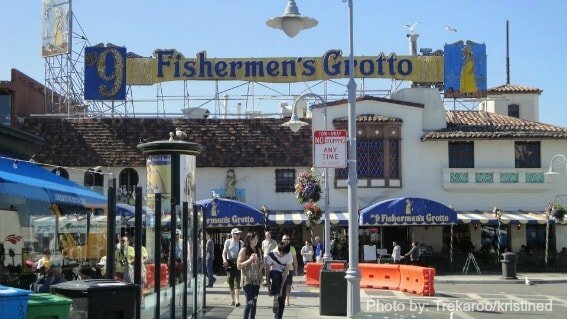 Sure, it’s the best place to get fresh Dungeness crab and tasty chowder served up in a bowl made from a hollowed round of San Francisco’s world famous sourdough, but there’s a lot more to Fisherman’s Wharf. If you can look past the cheap t-shirt and chintzy knick-knack shops, there are some interesting points of history. It would be a shame to miss The Hyde Street Pier and Maritime National Historic Park. Once the automobile ferry terminal that connected San Francisco and Marin before the Golden Gate Bridge existed, the Hyde Street Pier is now a cool collection of historic vessels built to carry a variety of cargo. Located just down the road at Pier 45, Musee Mechanique traces the arcade experience back to the early 1900’s, and moored at the dock right next to the building is the USS Pampanito, a World War II sub open for self-guided tours. Wondering about that odd smell and those strange sounds coming from Pier 39’s K Dock? Peer over the overlook and you’re likely to spot hundreds of sea lions greeting visitors while lounging on what were once boat slips. The Aquarium of the Bay and its Sea Lion Center offer an up close and personal opportunity to get acquainted with local aquatic creatures. If you’re looking to get out on the bay, the Red & White Fleet offers cruises out of Pier 43 ½. 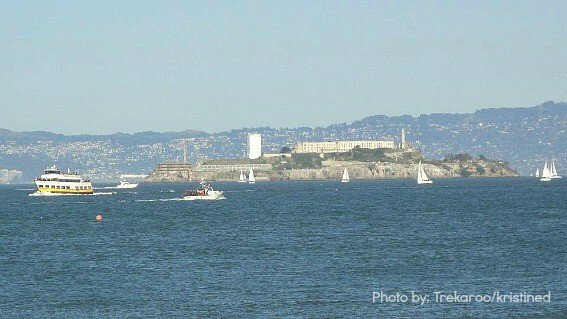 Also referred to as “the Rock,” Alcatraz was home to some pretty nefarious types during its tenure as a federal prison. Al “Scarface” Capone and Robert “Birdman” Stroud were among the more than 1,500 convicts who did hard time here. But did you know that the Rock has also served as a Civil War fortress, a bird sanctuary, and the home base of the first lighthouse on the West Coast? It was also where the American Indian Red Power movement took root, occupying the then abandoned prison for over 18 months. Tours of Alcatraz focus on the cell-blocks, including solitary confinement, which you can experience for yourself, as well as colorful stories of daily life on the island. Just book well in advance as this tour is extremely popular! 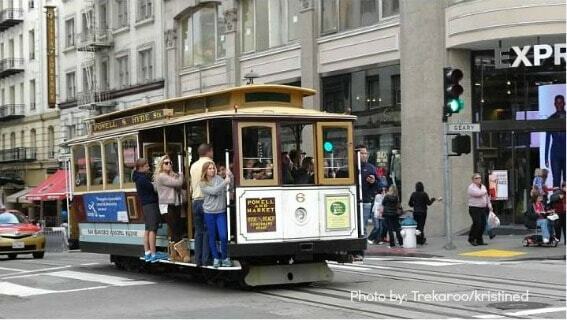 The three remaining routes of San Francisco’s iconic cable car system — two routes running from downtown near Union Square out to Fisherman’s Wharf and a third along California Street — are a must-ride, taking visitors up and down San Francisco’s infamous steep hills. Afterwards families can learn more about the world’s last manually operated transportation system at the Cable Car Museum. Filled with historical exhibits and examples of old cable cars, it is considered a working museum because part of it houses the cable car power source, which drives the cables, as well as the car depot. It’s a visit that comes at the best price too — free! 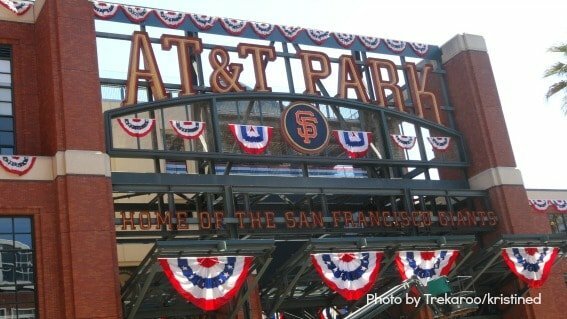 Home to the 2012 World Series champions, the San Francisco Giants, AT&T Park has many family-friendly attractions your kids will enjoy and you don’t have to visit the city during baseball season to take advantage of them! When the Giants are away, the Coca-Cola Fan Lot is open to the public at no charge. Your kids can take to the Coke bottle-shaped super slide, play around the 26-foot high replica of a vintage 1927 four-fingered baseball glove, and hit balls and run the bases at the Little Giants Park, a smaller version of AT&T Park. 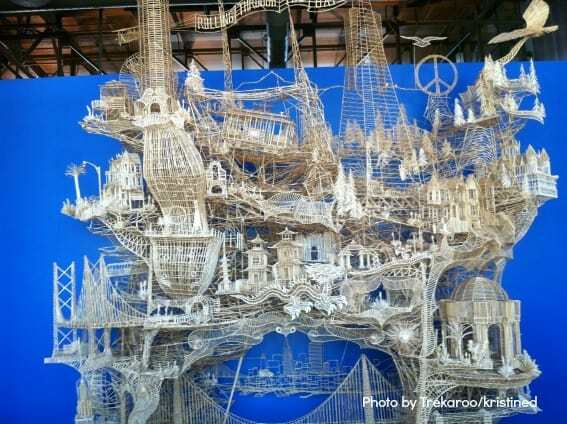 A longtime San Francisco favorite for educating the younger set on sweeping topics such as science, ecology, and biology, the Exploratorium takes a deeper dive into all of this and more in its new location at Pier 15. It’s close proximity to the San Francisco Bay has allowed the addition of attractions like the Bay Observatory and Outdoor Galleries which are full of hands on activities for exploring how wind, water, and tides affect San Francisco. Experiments with light, color, and optical illusions abound. There is also a greater focus on DIY with the Tinkering Studio and classics from the old location like the Tactile Dome. The museum is large and filled with experiments your kids will want to experience so be sure you have a full day to devote to it. Some would argue that this is the place where San Francisco began. More than 200 years of military history have taken place within the walls of the Presidio of San Francisco. Now part of the National Park Service, San Francisco’s oldest neighborhood street runs along a tidy row of officer’s homes just off the fort’s main post where military parades used to take place. Just below in Crissy Field, the post’s former air strip beside the bay, families fly kites and play with their dogs. The kids will enjoy exploring Battery Chamberlain and other artilleries that dot the coastline near Baker Beach. 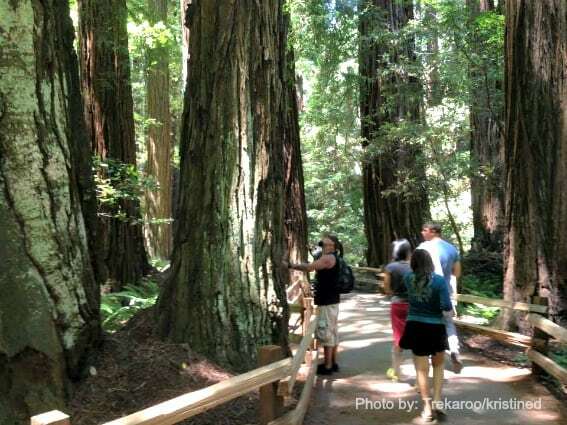 Secluded hiking trails wind through cypress, pine, and eucalyptus forests, and picnic tables in lush meadows and along breezy headlands will leave your family momentarily forgetting you are visiting an urban city. The Presidio is also home to Lucasfilm, the creator of Star Wars, and the Disney Family Museum as well as Robb Hill, San Francisco’s only campground. See what else the Presidio has to offer families. San Francisco’s sanctuary in the midst of the urban jungle, Golden Gate Park attractions are cultural, horticultural, and downright surprising. Who would expect an American metropolitan city park would have bison living it? A small herd of them have been roving the park’s 35-acre Bison Paddock since the late 1800s. 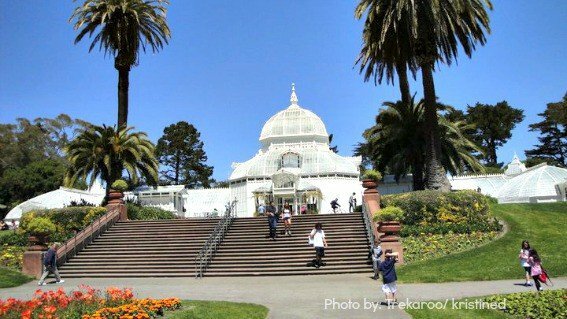 Visitors can rent bikes and paddle boats, and snap photos that include beautiful backdrops like Strawberry Hill, an island with a waterfall, and a picturesque Chinese pavilion at Stow Lake. In the Japanese Tea Garden, visitors meander across stepping stone paths and cross over the arched drum bridge while enjoying pagodas, stone lanterns, Koi ponds, and zen gardens before stopping in the tea house for refreshments. It would be difficult to miss the Conservatory of Flowers. A masterpiece of Victorian architecture topped with a stunning glass dome, this greenhouse-like space is home to aquatic species, carnivorous plants, Dahlia and Rhododendron gardens, and more. On the western end of the park, two Dutch windmills sit side by side. Once responsible for pumping a million and a half gallons of water daily, they now shadow the Beach Chalet, a charming restaurant with amazing ocean views, art deco murals, and homemade brews. 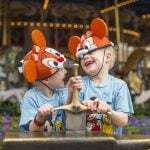 Read reviews of other adventures families have enjoyed in Golden Gate Park. San Francisco museums offering hands on kid-friendly experiences include the Palace of the Legion of Honor and the de Young Museum, where family tours exposing kids to great masterworks are followed by art projects led by professional artists, the MOMA, which while currently closed for renovations has made its modern art collection available throughout the city, and the California Academy of Sciences, an epic exploration in science, ecology, astronomy, and the ecosystem. One of my family’s favorites is the Children’s Creativity Museum where my kids enjoyed making their own stop motion film and producing a music video. San Francisco’s vibrant neighborhoods not only hold old world charms and traditions, they embrace more modern ideals. If your visit falls in late June, the gay pride celebrations in the Castro are not to be missed. They culminate in the LGBT Pride Parade, one the most colorful parades you’ll ever witness. The Haight Ashbury evokes images of personal liberation and ‘60’s hippie culture. 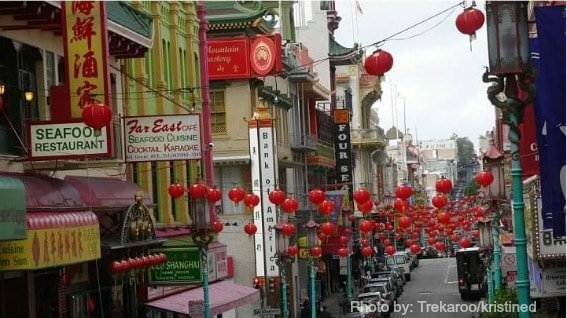 From its serpent lamp posts and strings of red street lanterns to the ducks hanging in the restaurant windows under the curved eaves of the Oriental-style roof-lines, Chinatown is a bustling cultural experience. 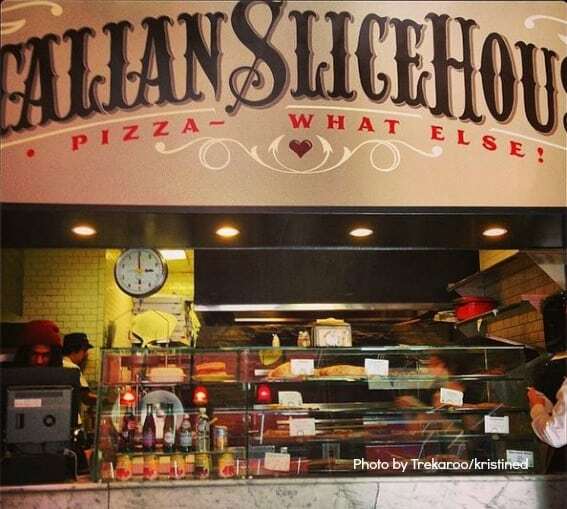 Head over to the North Beach neighborhood for family style Italian dining and gelato, to catch Beach Blanket Babylon, or hike the stairs of Telegraph Hill and around Coit Tower. Get a taste of Latin culture in the city’s Mission District. Play Japanese arcade games and snap a group photo in a green screen photo booth where you can select from some pretty outlandish backdrops; both activities are among the entertaining surprises awaiting visitors in Japan Town. Attack a Margherita pizza at Tony’s Pizza Napoletana or fill up on a North Beach Pizza classic clam and garlic pie. Feast on delectable tacos, burritos, and tortas from El Farolito, El Toro Taqueria, or La Taqueria; three establishments locals would love to keep to themselves. Gorge on a sundae at Ghirardelli Square, Northern California’s preeminent chocolate outpost. Boudin Bakery is the place to partake of classic San Francisco clam chowder in a sourdough bread bowl and kids go crazy for the Shrimp Packets and Mongolian Beef at House of Nanking. 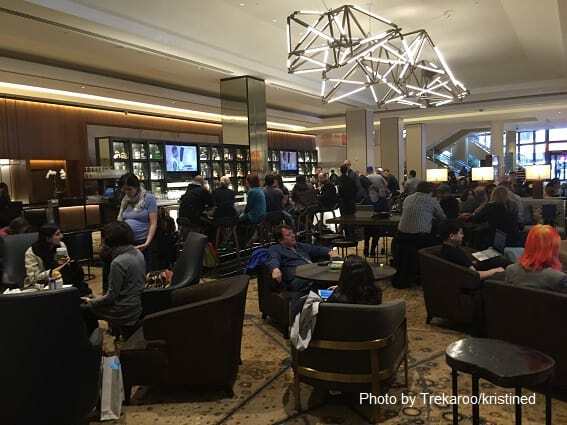 This stately Hilton property has served as a home away from home for families headed off for retail therapy in Union Square, holding tickets to live theater performances, adventures on the city’s waterfront, and so much more. Kids love the pool at this hotel as well as the scrumptious buffet guests are offered at the hotel’s lobby restaurant, the Urban Tavern. 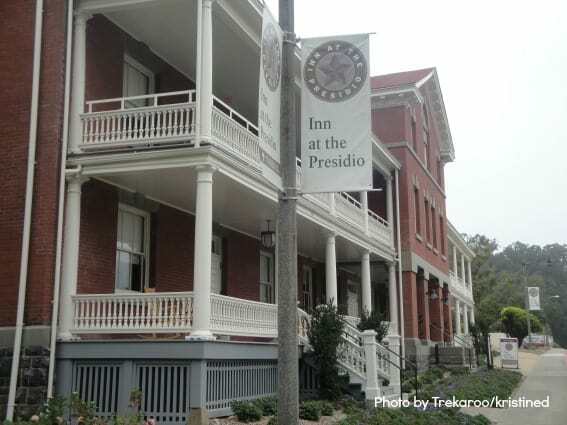 You’ll forget you’ve checked into a hotel in the middle of the city upon arriving at the Inn at the Presidio. Located just off the main post of San Francisco’s former army base, guests spend their evenings star-gazing around the outdoor campfire; enjoy access to hiking trails and breathtaking views of the Golden Gate Bridge. Kids love an array of nearby Presidio attractions such as the Disney Family Museum, the House of Air Trampoline Park, ample opportunities to explore military history, and beaches perfect for sandcastle building and kite flying. 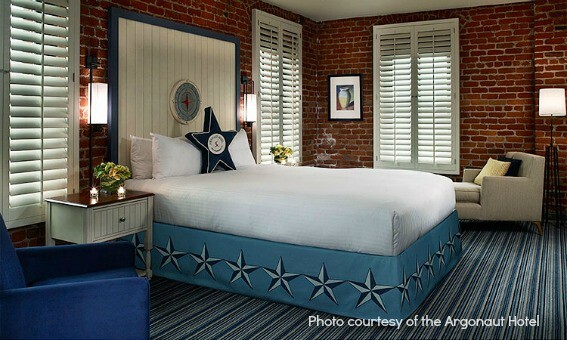 Perched on the edge of Fisherman’s Wharf, this adorable boutique hotel offers families a place to rest their heads after sampling the city’s famous crab and handcrafted sourdough, communicating with the local sea lions, and exploring San Francisco’s historic fishing industry. 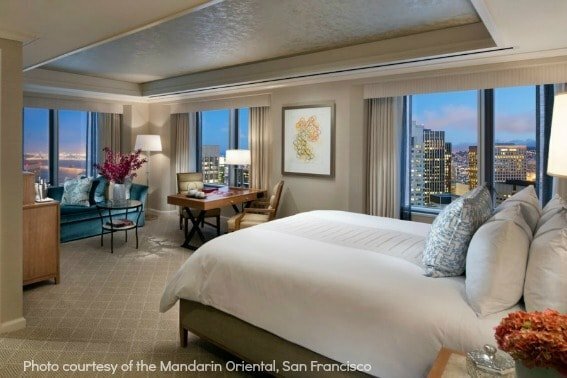 Get a great overview of downtown San Francisco’s city streets from the windows of the Mandarin Oriental. Families love in-room amenities such as cribs, kid bathrobes and slippers, as well as DVDs and video games to keep the youngsters entertained. 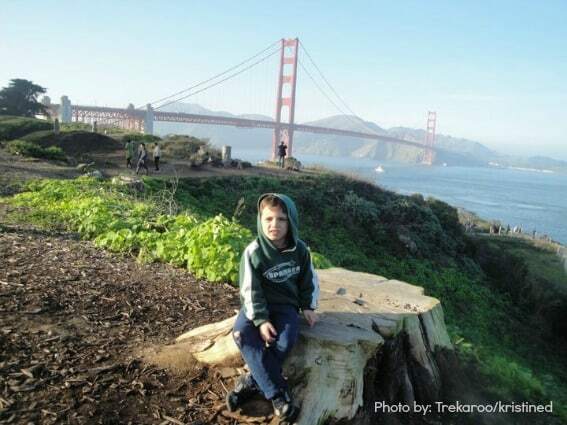 Read reviews of kid friendly San Francisco lodging on Trekaroo. Your family will become very familiar with the term “microclimate” during your travels around the San Francisco Bay Area. This means that you may wake up to 67 degrees in San Francisco but you could encounter a temperature dip just across the bay or a hike as you go inland. 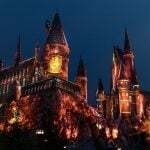 A little preparation will go a long way in making sure your family is comfortable for seeing the sights. 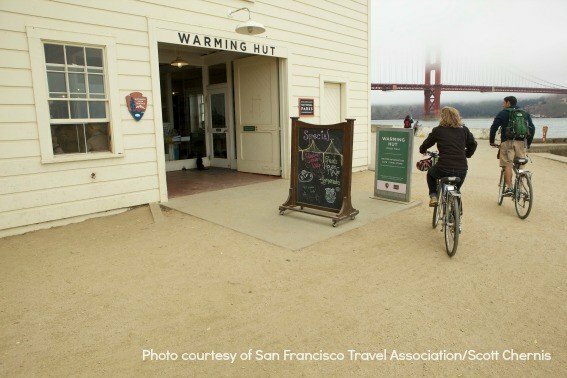 We’ll get you started with some microclimate tips for our favorite day trips from San Francisco. 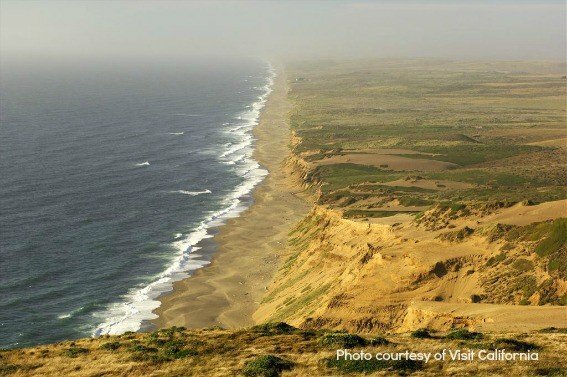 Point Reyes National Seashore is made up of more than 70,000 acres designated for simply getting out into nature. 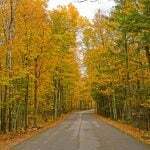 It has more than 70 miles of hiking and horseback riding trails as well as numerous hike-in campgrounds. Wild coastal beaches and headlands, estuaries, and uplands make up the peninsula of this preserve. 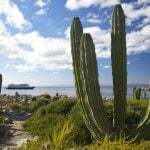 It is a great place for watching the gray whale migration and observing raptors and shorebirds, among other animals. There are also opportunities here for learning more about the San Andreas Fault, 16th-century maritime history, and to set off on your own searches for oyster shells and sand dollars. Microclimate tip: Summers are often cold and foggy in Point Reyes while winters in this area are generally clearer. All family members should bring a jacket or sweat shirt that can be tied around the waist as the day warms up. Muir Woods is often described more like a pilgrimage than an excursion. This majestic collection of redwood trees ranges in age from 400 to nearly 1,000 years old and each tree stands more than 250 feet tall. Douglas fir, maples, tanoaks, and red alders sprout up in the sprays of light that squeeze in between the redwoods’ huge trunks and wildlife like owls, deer, chipmunks, and woodpeckers play and live among their branches and roots. Flat easy trails loop through the park and several of them include ways to cross Redwood Creek, which flows all year-long. Microclimate tip: Ocean moisture creeps up over the headlands and spills over into the protected valley where Muir Woods is located, often getting trapped under the massive trees. As a result, daytime temperatures rarely climb past the low 70’s, so bring a sweatshirt or light jacket that can be tied around the waist, even if you visit in the summer months. A visit in the winter months could require toting a warm jacket or an umbrella. 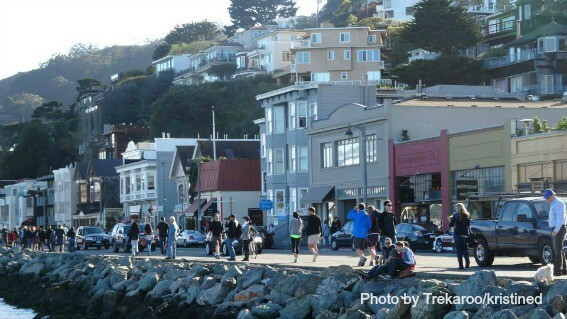 The quaint village of Sausalito offers plenty of opportunities to explore marine life and enjoy the San Francisco cityscape from across the bay. Families particularly enjoy the Bay Area Discovery Museum, with their young ones. It is filled with all sorts of exhibits, play areas, and fun educational things to do. Fifteen minutes down the road, is the picturesque town of Tiburon. Catch the Angel Island Ferry here and get out on the bay; Angel Island State Park is a gorgeous 10-minute sail away. Sweeping views, hiking and biking trails, and other outdoor adventures wait for you! Microclimate Tip: Dress in layers! It can get breezy on the bay but it could be very nice too so be prepared to shed or layer clothing according to what the weather dishes out. It’s a place more immediately connected to fine wine and culinary arts but don’t be fooled, the Napa Valley has attractions that are family-friendly too! Kids love to watch the Old Faithful Geyser erupt, pretend they are knights or ladies while visiting the Castello di Amorosa, and conduct geological study in the Petrified Forest. Approximately 78 wineries offer family-friendly features on their tours that include grape juice and coloring books for the kids. 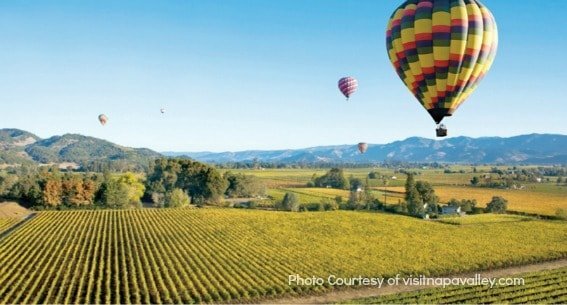 Microclimate Tip: Napa’s climate is considerably warmer than San Francisco, often by as much as 10 to 15 degrees. Pack sunscreen and head out to enjoy a most likely clear comfortable day. I love how despite having lived in the bay area for 14 years, there are still places I’ve yet to explore. Thanks for sharing this fantastic guide with us, Kristine. A fantastic insider’s guide to visiting SF with kids. I have to pitch in with my little local recommendation on Chinese food…seeing as I am after all Chinese. The salt and pepper fried crab at the R & G Lounge in Chinatown is amazing!!! If you are a crab lover, I say, ditch Fishermen’s Wharf and head on over to Chinatown. San Francisco is also one of the best American cities to enjoy dim sum. Some restaurants serving dim sum rival those is Hong Kong. Try Yank Sing in the city or drive over to Daly City to Koi Palace.